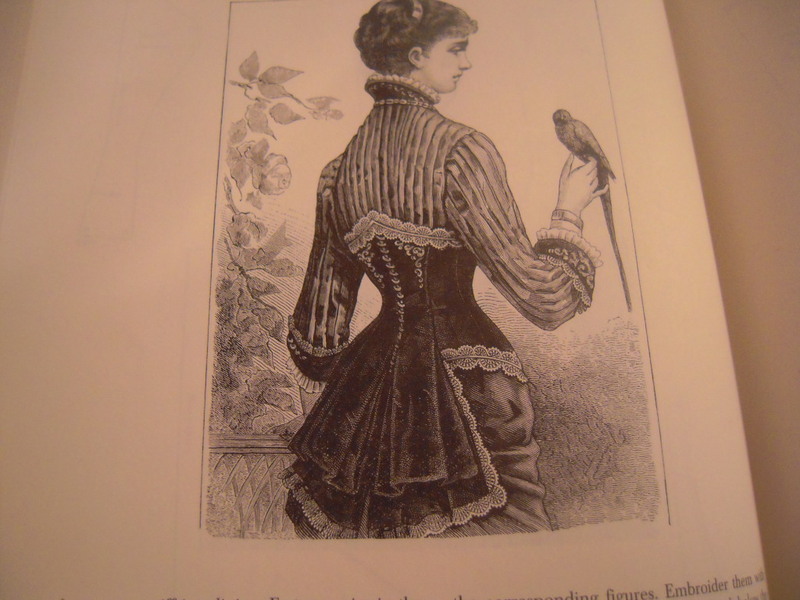 In perusing Frances Grimble’s “Fashions of the Gilded Age: Vol. 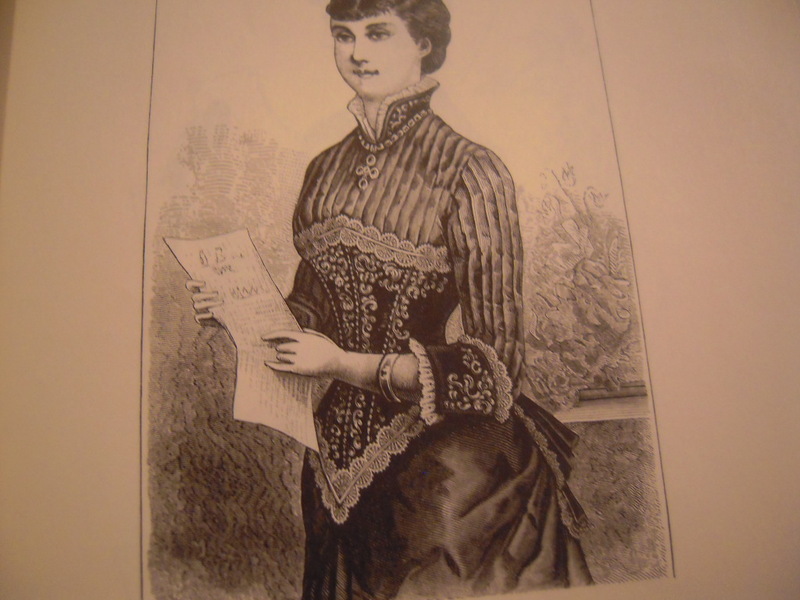 1, I found this lovely photo (below) of a velvet corset. What captivated me most was the back. I love the folds and the pleats and even in photo form, you can tell how delicious the velvet was once. Grimble includes in the book a bunch of patterns. Some are 1/4 or 1/8 scale, some you have to use specific rulers from the Victorian age. All of them need altering to the wearers body. Am I up for this challenge? I dunno. If you’ve seen my dress designs, you know that I go for what’s going to sew up the quickest and with the least amount of trim. Not that I don’t like details or trim. I just like to finish projects. That said, how many times have I made a simple project that I didn’t wear or use? Many. This costume challenge is definitely a way to move me past this insecurity and onward to a brighter, more complicated future. This is good, right? 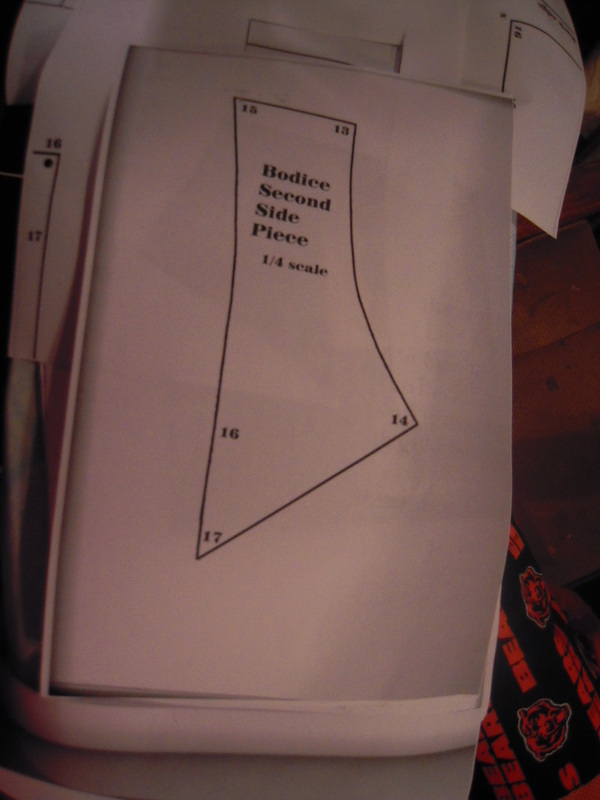 This corset pattern needed a trip to a copy center. A little advice you may already take to heart when visiting large chain copy centers, don’t go expecting help. They’ll tell you how their card system works or whether Tray 1 is 8.5 X11 paper, but besides some of the basics, you’re on your own. 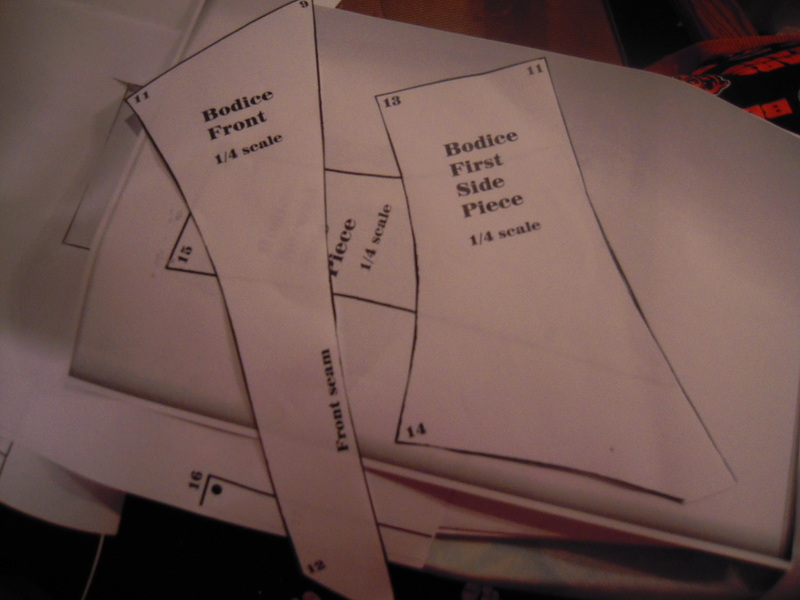 I spent what I thought a reasonable amount of time fiddling with the zoom setting until I finally just went with 400% zoom on each pattern piece and got decent sized bodice pattern pieces. It took several tries but the learning was worth it. 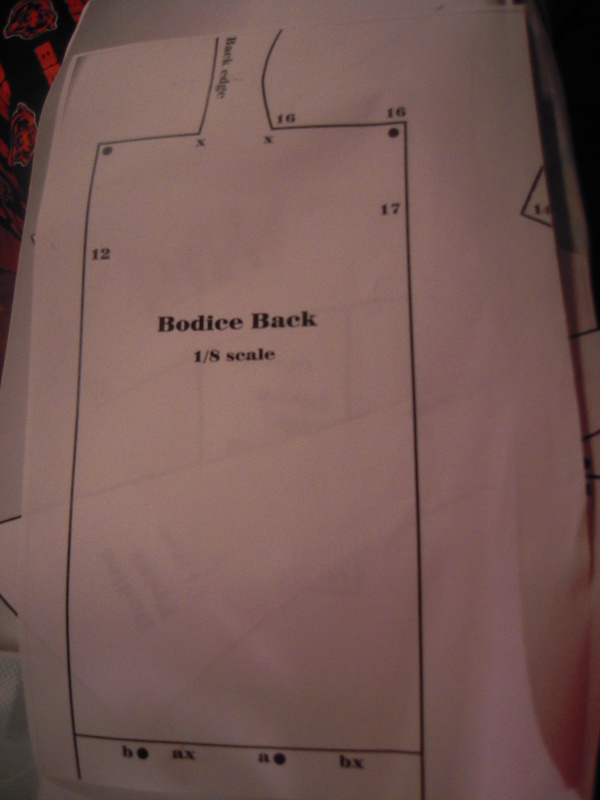 The pattern piece I couldn’t get sized up was the back of the bodice- with the rectangle that would become the pleated “tail”. It was sketched at 1/8 scale and I was done, plus my hubby and kids were waiting to get ice cream. Why would I spend more time on this? I’ll need to add seam allowances all around and figure out the back. Luckily I have the other pattern pieces to go off of. Before cutting into my fashion fabric for this corset, I’m going to make a mock-up to make sure everything is going to fit right. If this mock-up doesn’t go well, I’m relying on the first corset pattern I worked on to give me some needed success so that this costume can happen.